From left are Sheriff Kyle Dukes, Shanda Spacy, Mary Avery, Brandy Black, Taylor Brandon, Bethany Dixon, Treesa Metz, Kacynda Northrup and Jail Commander Shane Coney. 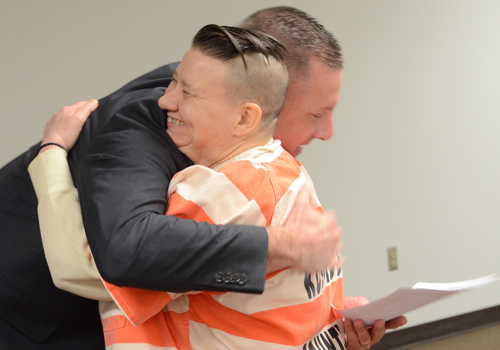 WARSAW — Kosciusko County’s long-awaited program to address substance abuse in jail inmates was given recognition for its first milestone on Thursday, Feb. 28. The program, entitled Jail Chemical Addiction Program, is designed to provide much-needed treatment and education for incarcerated persons whose underlying issue might be addition. JCAP grad Mary Avery gets congratulated by Sheriff Kyle Dukes. 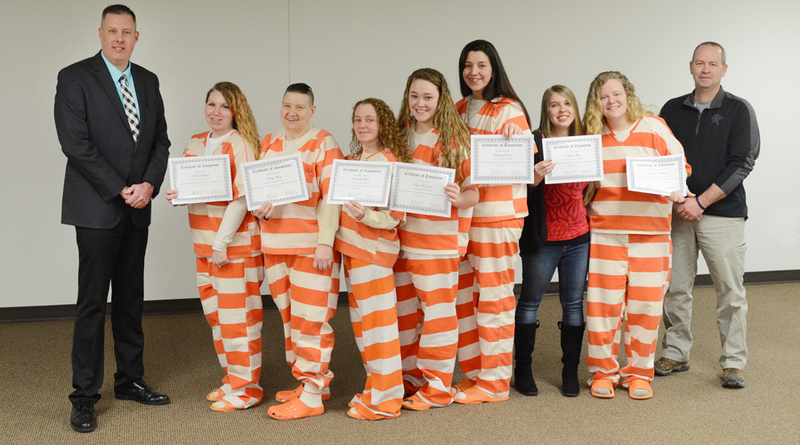 At a special ceremony in the basement of the Kosciusko County Jail, seven women were recognized as the inaugural graduates of the program. The graduates are Treesa Metz, Bethany Dixon, Kacynda Northrup, Shanda Spacy, Mary Avery, Brandy Black and Taylor Brandon. The group were lauded for their efforts by multiple agencies, most of which presented the honorees with certificates to commemorate completion of such programs as physical fitness, classes on spirituality and life skills, as well as leadership and financial counseling. The women were led by volunteer coordinator Courtney Jenkins, who was introduced by Sheriff Kyle Dukes. Jenkins also highlighted the dedication of other contributors to the program. One mentor who Dukes said helped to inspire the participants in the program is County Auditor Michelle Puckett. Puckett addressed the seven graduates. 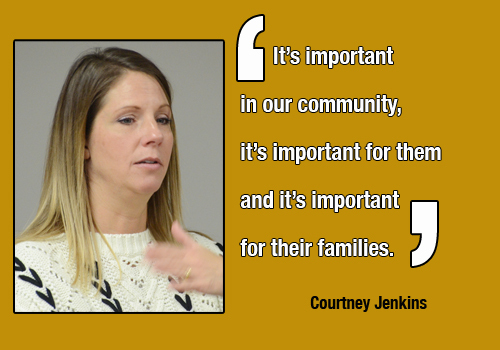 While the program was launched with the help of grant funding, it is currently only available to women, and Dukes said additional funding is needed to provide more infrastructure for the program. The ladies were issued certificates from The Bowen Center, The Beaman Home, New Life Christian Church, Diane Shopell, Peggy Owens and Shelly Metzger. The seven graduates were praised by Sue Ann Mitchell, president of the Kosciusko County Council, who spoke to the participants on behalf of county government.